Is it real to organize a home birth in a maternity hospital? This is a fragment of the video-invitation from the project "Miracle in the Heart" to attend a roundtable discussion in the maternity hospital No.5 in Kiev (Ukraine) on the topic "Homebirth in the Maternity Hospital" on September 7, 2017. The video touches upon the paradigm of attitude towards childbirth and woman in childbirth in Ukraine, a new primary health. The difference in the microbiome, microbiological safety for a mother and a new-born. The difference concerning energy aspects in childbirth in the hospital and at home. What would be a correct name of a ward for natural childbirth in a maternity hospital? "This video is very very strong! It wears so so crucial recommendations! The birth- and breastfeeding language that has so enormously rooted in the last decades, is the language of "helping-guiding-supporting" the mother. As dr Odent scientificates since so long and I also so often experienced in my grassroot activism with pregnant and breastfeeding mothers, this language does nòt reflect the physiological needs of the mother and baby and can actually delày the return to physiological births and breastfeedings with the best health-outcomes on the short and long term! As a mother and grassroot activist I think that you "birthed" an incredibly professional, science-updated, fruitful, awarenessizing video, that will surely give an enormous contribution to the rediscovery and "rephysiologization" and responsible demedicalization of human birth and breastfeeding and that will THUS AUTOMATICALLY give its unmeasurable contribution to the "resustainablization of human life and evolution inside the Mother Earth-Universe continuum! 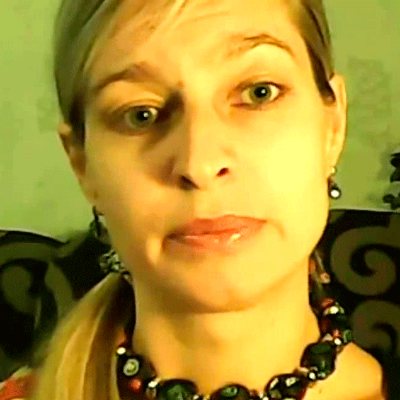 You and your team "birthed" another "miracle in the heart", Svetlana! GRAZIE MILLE!" You may watch the entire video "Homebirth Ward in the Maternity Hospital - myth or reality?" here. Whom should the doctors learn from to deliver a natural birth? What are the basic needs of women in childbirth? The delayed umbilical cord clamping has its pitfalls!